There are other stories set in this universe, but this one stands on its own even if you haven't read any of the others. 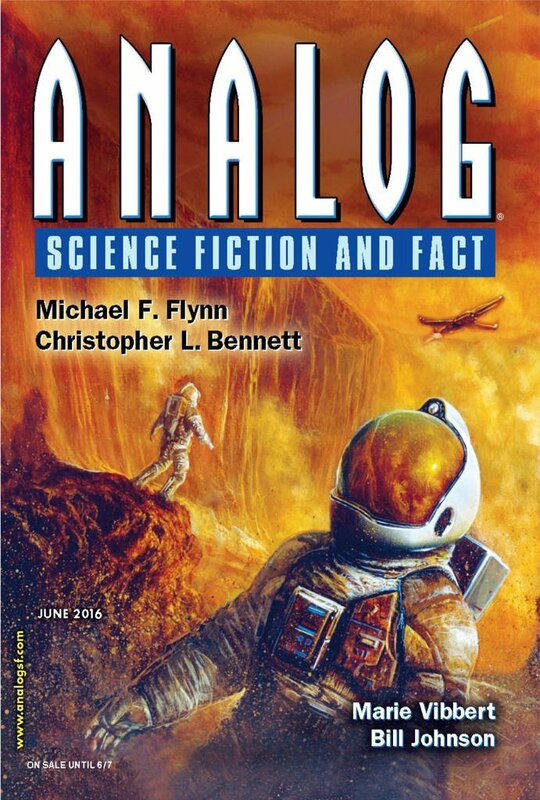 "When The Stone Eagle Flies," by Bill Johnson [bio] (edited by Trevor Quachri), appeared in Analog Science Fiction and Fact issue 06|16, published on April 29, 2016 by Penny Publications. Pro: Ninevah does indeed fall on schedule and as expected. Martin and Larry move on to their next set of objectives. The general concept is a reasonably interesting one, and the twist that Larry is happy and doesn't want to mess things up is a good one. Con: There appear to be a lot of loose ends that may relate to the larger work that this series seems to be headed towards. The fate of Achadina's people, for example. The story is flawed by a number of writing errors, including a really bad as-you-know-Bob near the beginning. I seem to have a strong bias I can't get rid of where I mentally give an extra star to a story if it involves time travel.